The Solar Empire saw its dominance of the Sol star system crumbling under the onslaught of the Earth Federal Republic forces during the initial years of the 1st Interplanetary War. Lady-chairman Isabeau Furrier viewed the development of the ironclad fleet as too-little, too-late to save the Solar Empire due to the fact that the ironclads were a throwback to the battle doctrines of the Great War era. She understood that newer, more advanced types of spacecraft would be required to deal with the EFR. Thus began the initial research and development of what would become known as the "Cosmo Navy" type of military spacecraft. Furrier's designers looked through all of the spacecraft types that had been developed in the 2060s during the "cat-and-mouse" conflicts between the USSN and UNSC. This intelligence data was later coupled with the information garnered from both Lady Furrier's spies pilfering Dalltan's secret research files, and initial reports after the Battle of Hygeia when Zhukov's forces first used the alien warships. Admiral Kolchak's space frigate was picked by yet another team of warship engineers as the best fit for the main corvette of the new Solar Empire fleet Lady Furrier had charged them with designing in 2074 AD. The ship had excellent firing arcs, engine placement, and ergonomics. It was for this reason that these craft were given top priority for upgrade and refit to the new stellar warp drive that Lady Furrier's team of spies uncovered during their infiltration of the conspirators' network during the early 2070s. Unfortunately for Lady Furrier, her plans were thwarted by the base commander of Hildalgo--where these craft were supposed to be built--and the loss of Vesta in January of 2075 (where the omni-hull types were going to be constructed). Dalltan's influence was far reaching and his spies among the Hildalgo top tier of command staff ensured that the fleet of Byzantine class frigates Furrier had ordered designed were never built. A truly "Omni-hull" spacecraft is born. Among the vast amount of data deciphered by Dr. Xiang during his three years of studying the Prodono, it was learned that the aliens built spacecraft using a concept he termed Continuous Operation Standardized Modular Omni-hull or COSMO In other words, vessels that were designed to be upgradable for an indefinite period of time (usually thousands of years) and changeable into a variety of configurations to meet the needs of whatever sector of the galaxy they were being constructed in. The most common type of alien craft that fit this description was the Raul-Zhem-Kai class of patrol ship/picket vessel found at the Alpha Centauri Prodono warship depot. The Raul-Zhem-Kai class found by the UNSC was in actuality a heavily modified version of the original Cosmo Navy type craft built thousands of years before the Raul-Zhem-Kai, but using the same basic modular components at that Prodono ship. The sheer number of different variants possible with that class alone was staggering to Dr. Xiang as he began thumbing through the alien data. The data based on Xiang's research that Lady Furrier's spies acquired from Dalltan's conspirators, led to the design of three types of omni-hull craft all based on a basic frame. This frame was designated the 1st generation of Omni-Hull warships. With the basic model being a heavy destroyer type called the HSD-01. 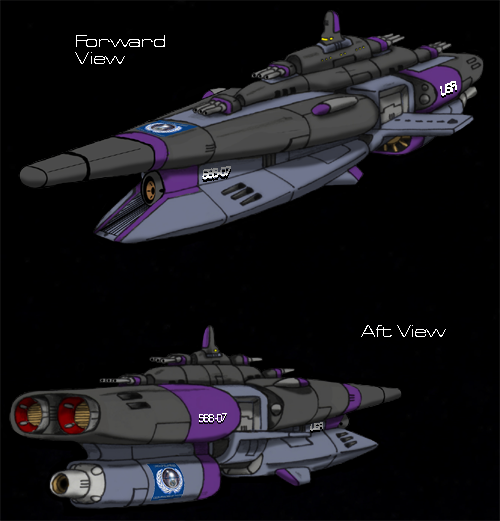 A third class of vessels was added to Furrier's plan in the form of a space battleship that was based entirely on a Raul-Zhem-Kai type variant intended to act as a destroyer/battlegroup leader. This vessel was dubbed the SBB-01. Had the class not been tampered with by Dalltan's henchmen, the design would have been even more formidable than it was. At 50,000 tons displacement, the SBB-01 was the largest manmade warship of its day. Its weapons, vehicle compliment, and armor were all impressive by 1st Interplanetary War standards. The combination of this class of battleship with its complementary force of warships would have made the Solar Empire unstoppable. It is for this reason that many historians believe that Charles Dalltan ensured that the Solar Empire never got the opportunity to construct these vessels. With the loss of Vesta in 2075 AD, the Zhukovist rebels were essentially handed the plans to make the omni-hull spacecraft and the SBB-01 space battleship. 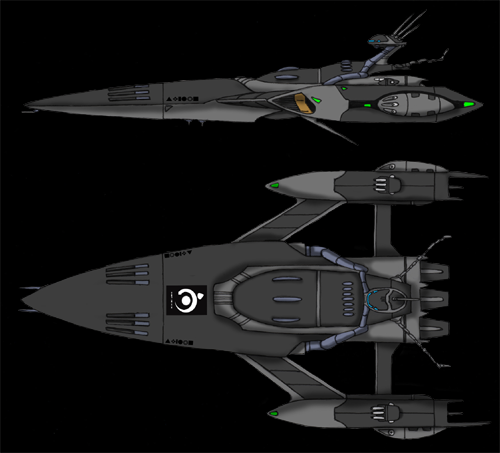 However, for whatever reason, Dalltan did not allow the plans for the Byzantine class to fall into their possession and thus the full potential of the Cosmo Navy fleet was not reached in the 1st Interplanetary War era. With their fleet of alien warships needed to transport the proletariat from the Sol system to their newly colonized planet Gaea, the Zhukovist rebels needed a new fleet of warships that would help them continue the momentum against the Solar Empire that the EFR had given them after the fall of Venus and the routing of the UNSC from the Earth Sphere. After Vesta fell into their hands in 2075, the Zhukovists plundered the data banks of the planetoid base for any information on the ironclad ships and Peter Khrushchev's fleet (Ceres Regency space navy). What they found within the files of the former UNSC base amazed them. Blueprints for an entirely new space navy consisting of omni-hull warships and a battleship design heretofore unseen in the Sol system. Even without the Byzantine class of frigate, the newly formed Union of Solar Republics space navy proved its superiority to the 1st and 2nd generation of Ironclads used by the Solar Empire during the invasion of the Mars Sphere. These craft also showed their parity of power to that of the Ceres Regency's fleet of "Flash Gordon" type vessels during Ceres first attempt to take control of the Saturn sphere from the Jovian forces after the 1st Interplanetary War was over in 2079 AD. These craft were so successful that plans were started in 2080 AD for a complete upgrade of the fleet that would include the introduction of the Byzantine class back to its rightful place as frigate of the USR Cosmo Navy by 2085. In conclusion it should be noted that this type of spacecraft went on to father a whole lineage of space warships that defended the planets of the Union of Solar Republics and subsequently the Union of Sovereign Solar Republics after the Outer Sphere war of the late 2080s. The influence of the Cosmo Navy design on other types of warships would become clear in the mid-22nd century as the Earth forces began unifying their space fleets into one coherent body.